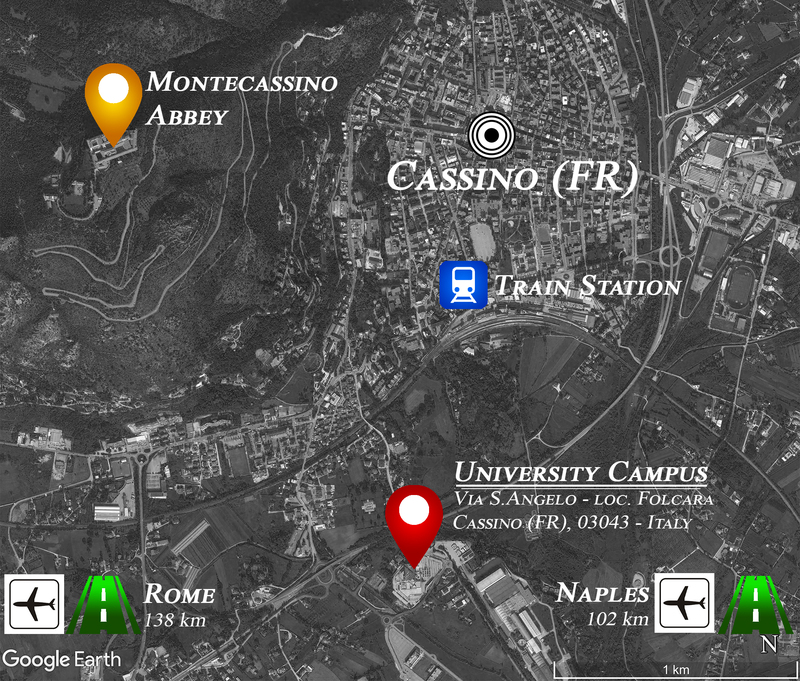 A bus connection is available from Cassino Train Station directly to the University Campus. Every 30 minutes. About 2.3 km of distance. At the roundabout at the exit of the toll booth take the third exit (SS 630-Ausonia in the direction of Cassino). Continue straight on for about 3 km staying on the SS 630-Ausonia. Attention: after about 1.8 km you will find a wide junction that indicates on the right "Cassino Centro" and on the left "Roma" - "Abbazia". Head towards "Cassino Centro". After 1.5 km take the exit "Cassino Sud". Continue, at the first roundabout and take the first exit. At the second roundabout take the second exit, after 300 mt the Campus is on the left. 2018 IEEE MetroArchaeo Photo Gallery is now available!